In 2012, it was using the ocean as a “big toilet” while floating outside Palawan. In 2011, it was my birthday moment. In 2010, it was the success in Journey to the End to the Night. Well, it’s quite obvious in 2013. I always talk about the man in Istanbul. The ice cream maker who was orphaned and because of his ice cream love, he snuck onto a boat to Italy where he learned the art of gelato. Then he returned years later after becoming a maestro to bring gelato to his home neighborhood. Yes, there’s some logic that doesn’t make sense. And that there is so much romanticism in that. But I remember that event so distinctly that it impacted me. I watched him tell the story. Not in two to three lines as other ice cream makers would. In Turkish, he told his story over minutes, continuing and continuing in the dark night, lit by protestors waving flags and the like. At the time, I was impressed with myself. The fact that I was able to convince a friend of a former coworker who introduced me to his Italian teacher in Bologna. 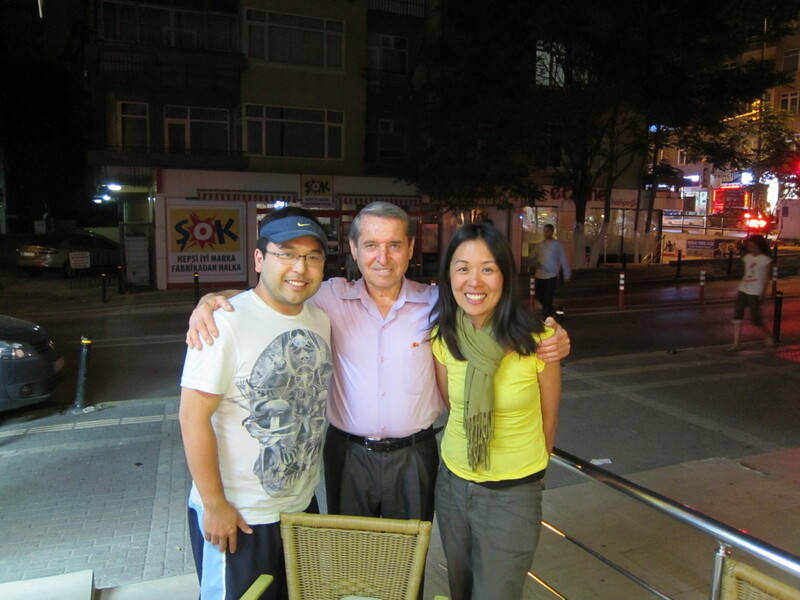 I met the Italian teacher and she introduced me to her student who introduced me to her college friend in Istanbul. He helped us translate and made our difficult interview successful. And it was all that struggle to just get this interview. And how his eyes were so proud that somebody finally listened to him. Although in all my writing Chris is regulated in the background, without him, I would have dragged my feet in depression. He came, helped me with the photos, the audio, and eating the ice cream.